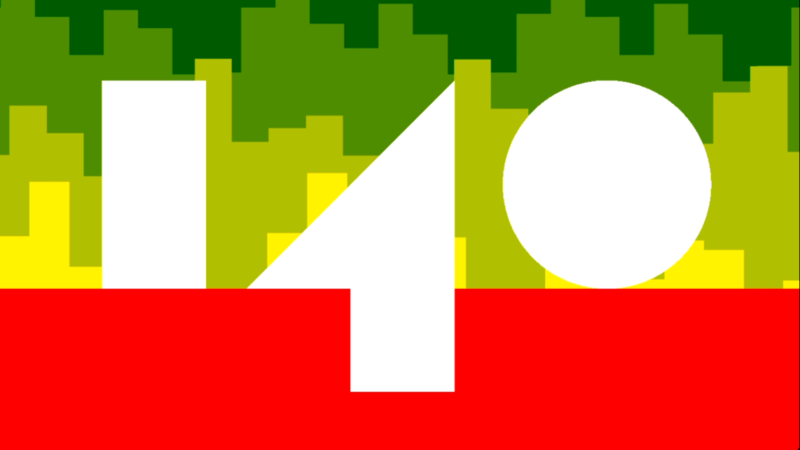 140 is a two-dimensional puzzle platformer with fat beats in which you play as a geometric shape. The game appears to be very minimalistic. The title screen boasts a flashy title with the title’s synthesized chiptune melody pounding in the background. When the player presses the enter key, the title screen melts into the stage selector where the player’s character is represented as a square in the middle of the screen. When moving across a surface in the right or left direction, using the right or left arrow keys, the player’s character becomes a circle. 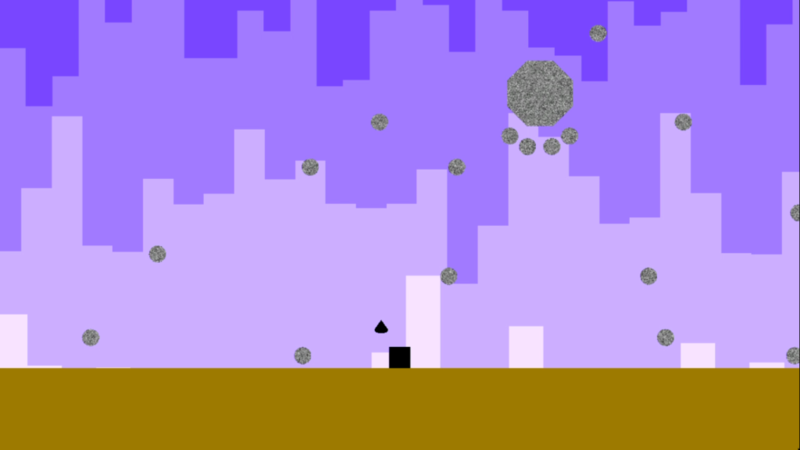 The player may jump by pressing spacebar. 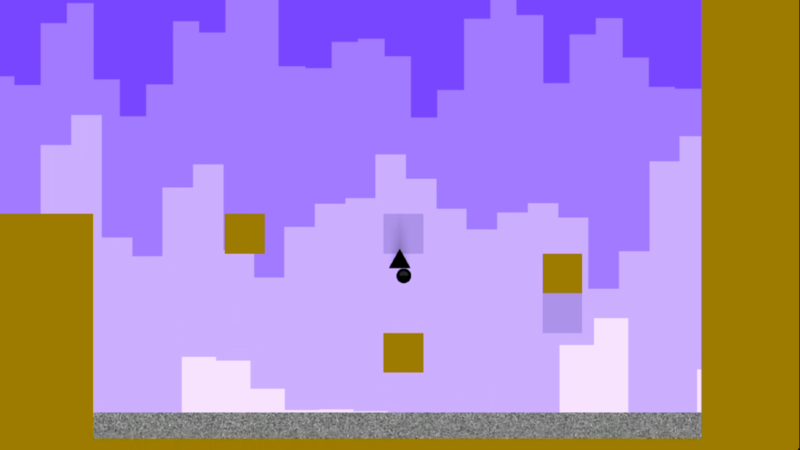 Any time the player’s character is moving through the air it becomes a triangle. A stage is selected by attracting colorful hovering circles and guiding them to these half-circle slots they fit into. There appear to be four stages to the game, unless there are other stages not represented by the first stage selection screen. Once a stage is completed, the player is brought back to the stage selection screen to fight a boss before they may move on to the next stage. All of the moving platforms and obstacles in 140 move to the rhythm and beat of the chiptune soundtrack that plays throughout each level. 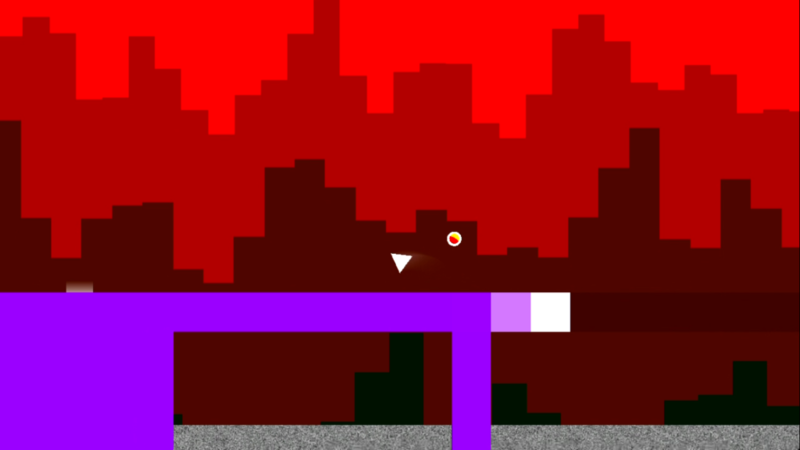 The color schemes change as well based on the completion of puzzles throughout the levels which must be completed one at a time in order to progress. 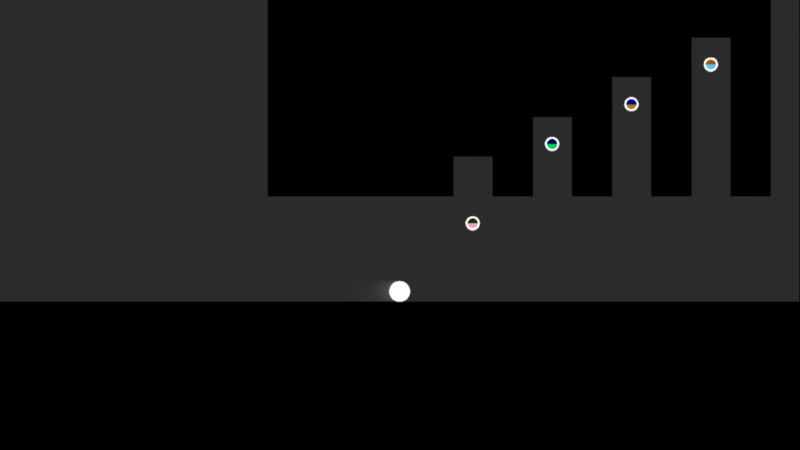 Falling into static or other deadly obstacles instantly kills a player’s character, but the player resurrects at the beginning of each save point liberally strewn throughout the stage, so the game is very forgiving. Thus far, I have found no permanent save game feature. Holding down the escape key exits the game. In 140, rhythm is everything. In my first playthrough of 140 I made it through the first stage, beat the first boss, and completed a decent portion of the second stage. The stages are vivid and colorful, the music is topnotch and somewhat nostalgic. It makes me feel like I’m playing a modern Atari ST or Amiga game. The boss fight following the first stage played more like a Space Invaders style side-scrolling shooter, not at all what I had expected from playing thus far, but great fun none the less. First Boss, Fight the Static! Perhaps when I beat 140 I will see the ending credits, but I decided to lookup more about the game on its Wikipedia page. 140 was developed independently by Jeppe Carlsen and released by Carlsen Games on Steam in 2013. Double Fine Productions has published versions of the game on consoles. At the time this article was published, 140 is currently included among the titles offered in a special Double Fine Productions Humble Bundle sale. For those who are subscribed to Humble Bundle Monthly, 140 is currently included in the Humble Bundle Trove. Since 140’s graphics and sound are limited to geometric shapes and chiptunes respectively, this is a great title for children to play. Its initial difficulty is light allowing the player to learn the rules of the game while the difficulty does ramp up as the game progresses. There is no requirement to be literate to enjoy 140 as I have found no words or numbers to speak of outside of the title screen. The game is also DRM free and can be played across many of the devices I have. I really like playing 140 and I’m looking forward to beating it. I have it loaded on my son’s laptop and I’m waiting for him to discover the shortcut for it on his laptop’s desktop to see what he thinks of it. Donating whatever you want to on the Double Fine Productions Humble Bundle sale for charity right now will unlock Mountain, 140, and Thoth. 140 alone is worth more than the minimum spent.